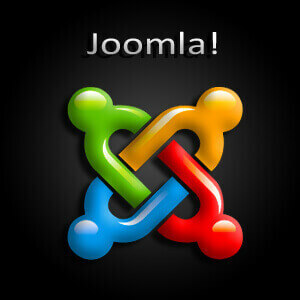 If you are looking for one of the best content management systems, Joomla is the best choice. Among all other open source platforms Joomla provides advanced administration option, navigation management, plug-ins and URL management. Of course its community is large enough to support all types of bug fixing and development. One of the strong administration panels: Among all other open source platforms Joomla provides the best admin panel that can work for versatile functionality for and like inventory control systems, data reporting tools, application bridges, custom product catalogs, integrated e-commerce systems, complex business directories, reservation systems, communication tools and so many others. So if you are going to develop such a site then you would obviously choose Joomla. Great number of themes for customization: The looks for your site is never going to be disheartening if Joomla is your choice for development with open source platform. There are so many themes available to be customized according to your business nature and taste for sure. Your personal web developer would get ample scope of customization. Easy navigation and URL management: While in Joomla the navigation management gets very easy for creating any site type with user-friendly navigation menus. At the same time the page URLs created through Joomla is simple (SEO friendly) and junk code free. So it helps getting better ranking in search engine results page. Huge number of plug-ins: For increasing or adding several functionality to a website, plug-ins are the options. In Joomla there are so many plug-ins available to add or customize according to your need. So once you have developed your site in Joomla, you need not worry for enhancing the functionalities, you just ask you developer to add the functionality. Community support: The way other open source is backed by its developer communities, same or better is the support of Joomla. So for any kind of issues never stands in the smooth development of a site in Joomla. Developers get immense help from the communities. In this way, hope you have understood how Joomla can be a great choice for you for building a great business website or an e-commerce site. You need to choose your personal web designer or developer wisely. Once you have selected me, you become free of all tension.